I love this guest post today & I hope that it helps you!! Take it away…. Having been a blogger since 2007, I realize just how much work goes into a blog before ever seeing a return on your investment. I know that blogging can be profitable, but I also know that it takes some time to see that profit come to fruition. Over the years that I have blogged, I have also had the privilege of working from home either part-time or full-time as a virtual assistant which has helped to pay the bills in my household. 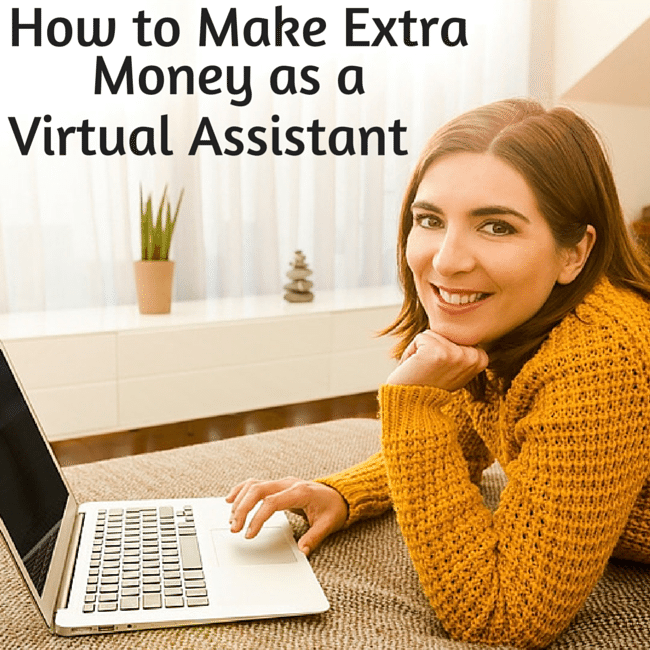 If you could use extra income or even to make a part-time or full-time income from home while blogging becomes more profitable you might want to consider working as a virtual assistant. Getting started as a virtual assistant is actually quite simple and requires little to no financial investment. There are a series of steps that you will want to take to get started. Let’s tackle a few of them. Evaluating your skills and turning them into services. I am of the opinion that just about every blogger has skills and ability that they could promote as services. If you can copy, paste, and type; you can do a variety of data entry type jobs. If you can do research for your blog post, you can do research for business owners. You are also likely skilled in social media and can, therefore, offer social media management as a service. These are just a handful of ideas for services that you can provide as a virtual assistant. Determine a niche or target market. I was shocked the other day to discover that a fellow blogger thought that virtual assistants only served bloggers. I was so thrilled to be able to share with her and you that this is not the case. There are a whole range of niches or target markets that you can service based on your skills. You may have skills from other life experiences that you can bring to the table to serve a specific target market. As you might imagine, the earning possibilities are much greater for specific markets. This leads to the last step we will talk about — rates. Set your rates. The biggest mistake I see newbie virtual assistants making is pricing themselves too low. Now I understand, when you’re working with other mom bloggers and friends, you don’t want to overcharge them. However, if you are capable of doing other tasks and working with other markets, then I urge you to do so and don’t settle for meager wages. It is possible to make a greater income than you imagine. Alyssa Avant is an author, speaker, virtual assistant, trainer, and blogger. She has worked online with business owners since 2007. She is the mother of 3 children. She and her husband, Greg, have been married for 15 years. They live in Carrollton, MS.